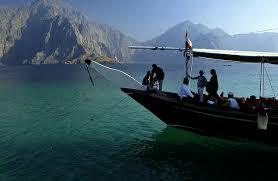 A Dhow trip to Musandam offers an insight into its fantastic landscape. Enjoy your time laying and sunbathing under the sun, whilst you feast your eyes upon the beauty of the Musandam Fjords. With snorkeling take a thrilling plunge down the crystal clear waters, of the Oman Sea .